I say March, because it's March now, but I haven't linked up with Leigh's What I'm Into posts for several months, so really, consider this a first quarter list. Here are some of the things making me happy in the first quarter of 2015. The return of the world's best ice cream. I grew up in Texas, not far from the Blue Bell Creamery. While their Chocolate Chip Cookie Dough and Cookies and Cream and Vanilla Bean flavors are truly delicious, my all time favorite is Chocolate Decadence, a fudgy ice cream with a cream swirl and dark chocolate chips. But more than ten years ago, this flavor was retired. They stopped producing it regularly. And it hasn't made it into the rotation for a decade (I know, my mom checks every grocery store she goes into). But it's back. For three months. Go ye unto your walmarts and HEBs and meijers and krogers and seek this ice cream while it may be found. Maybe you remember that two years ago, Jack and I spent a hot minute contemplating the purchase of an old building in downtown Upland, transforming it into a coffee shop downstairs and a loft apartment upstairs. Thankfully we realized that we probably lacked the time and emotional fortitude for the job. But also thankfully, someone else had it! Last week, friends opened The Bridge, a cafe featuring locally roasted coffee, fresh handmade baked good, soups, salads, and the work of local artists and crafters. Upland is a town of 3800 people in less than four square miles. Now we have our own coffee shop. And it's dreamy. After our first visit, Rosie said, "I think that is going to be one of my favorite places. It's filled with things made by our friends!" Karen Swallow Prior tells the story of abolitionist and poet Hannah More in her most recent book, Fierce Convictions. Far from fluffy hagiography, the book is a solid, scholarly, clear-eyed look at a largely forgotten but truly inspiring person. In reading the book, I also saw many likenesses between More and Prior, who is one of my favorite people online. (She inspires me with what it can look like to be an influencer at a Christian college.) Like More, KSP regularly engages with people she disagrees with, and she engages with strong opinions, critical thinking, and a great love for the church. Like More, KSP doesn't just engage with those she disagrees with - she maintains strong friendships with them. A Wolf at the Gate. TBH, my kids are really into Power Rangers and superheroes of all kinds, and sometimes I hate it. I want them to know that drama and excitement and heroism do not have to include violence and fighting. But stories that showcase the drama of peacemaking are hard to find. So when I saw a kickstarter to fund the creation of a book that aimed to be exactly that, I was all in, and this book did not disappoint. Rosie and Owen were both glued to this short chapter book, and have asked to read it a second time. The book got a starred review from Publishers Weekly, and is available now at Amazon. The new album from Sufjan was on NPR's First Listen this week. Beautiful and heartbreaking. Listen. Read this overly dramatic interview with Dave Eggers. 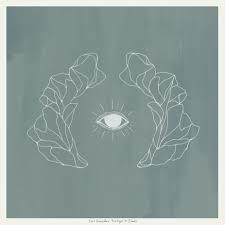 Really, though, the album I can't stop listening to is the newest from Jose Gonzalez. Vestiges and Claws came out last month, and it's the third solo album for this Swedish singer-songwriter. I did not believe that another lawyer show (on CBS, no less) could possibly be good, and I'm sorry to say that I did not believe my parents when they told me it was. Jack and I have been slowly watching our way through this (old season are on Amazon Prime, and the show is currently in its 6th season), and we love it. The storytelling is nuanced, the plots satisfy within episodes while also nurturing slow-burn stories with realistic drama, and the acting is almost uniformly excellent. Our only complaint is that we don't like the music editing. If you can, I recommend it. You know Taylor took me to China. But also, thanks to working at Taylor, I got to have lunch with Christena Cleveland this month (total girl crush) and hear her speak twice. I got to hear Scott Russell Sanders read, and also listen to some excellent student presentations at the Making Literature conference. Maybe best of all, there's no place like a Christian college for finding smart, engaged, thoughtful, funny, passionate young people to hang out with. oh yeah, and in a moment of spring freak-out, I bought chicks and then more chicks.